Abies durangensis was first described in 1942 by Maximino Martínez (1888–1964) and is commonly known as Durango fir, or as Ocote and Abete de Durango in the Spanish language. Description. 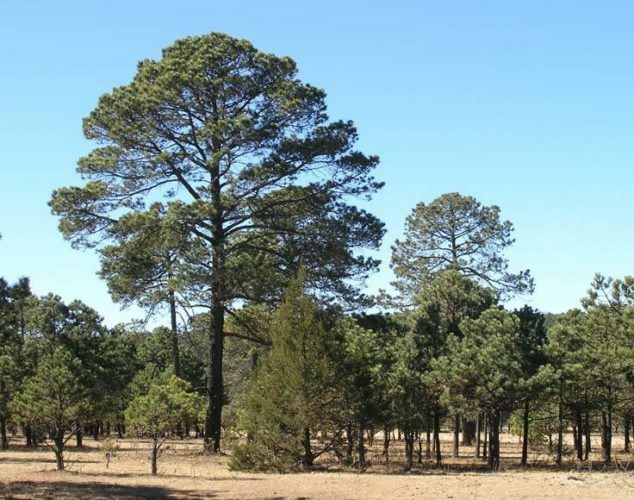 Durango fir is an evergreen coniferous tree, which grows to a mature height of 60 to 120 feet (20 - 40 m) tall with a diameter at breast height of 60 inches (150 cm). Long straight trunk branches grow horizontally outward. The crown is nearly conical to irregular-round shape. Young trees have smooth, gray or reddish-brown bark . In older trees, it will become deeply furrowed and cut into oblong plates with a blackish brown color. The grooved, smooth or sparsely hairy shoots are purple to reddish brown and have round or egg-shaped leaf scars. The oblong, egg-shaped buds are 0.16 to 0.2 inch (4-5 mm) long. They are surrounded by a pinkish-yellow resin layer. Needles are obtuse or rounded at the tips 1 - 2 inches (1.4 - 4.5 cm) long and 0.04 to 0.06 inch (1 - 1.6 mm) wide. They are Blue green on top and light green at the needle base with two white stomatal bands. Standing among the leaf axils, pollen cones are 1 to 2 inches (2.5 - 5 cm) long. The upright, almost cylindrical seed cones are 2 to 4 inches (5 - 10 cm) long and 3 to 4.5 inches (7.5 - 11 cm) thick on short stalks. At maturity, they are pale yellow to medium brown. The resinous, yellow seeds are 0.24 to 0.3 inch (6 - 8 mm) long. Each seed has a 0.28 to 0.4 inch (7 - 10 mm) long orange-yellow wing. Distribution. This species is native to Mexico — from the north of Jalisco to the south across Sinaloa and Durango as far as Chihuahua and northwestern Coahuila in the north. It prefers a cool, damp climate growing at 5,000 to 9,200 feet (1,600 - 2,900 m) of elevation. 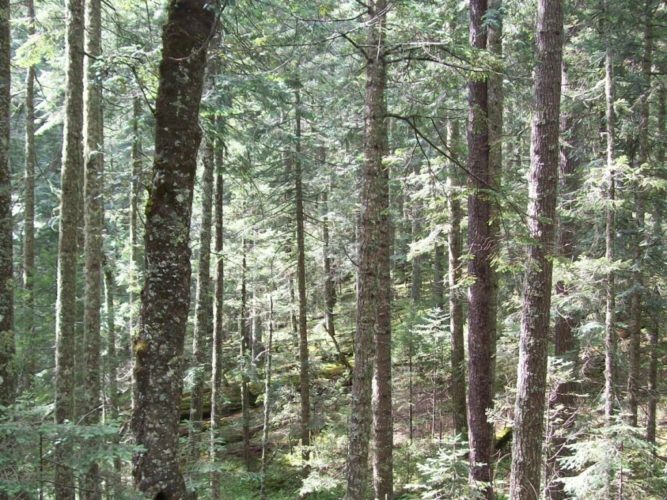 Abies durangensis in Tamazula, Durango, Mexico.